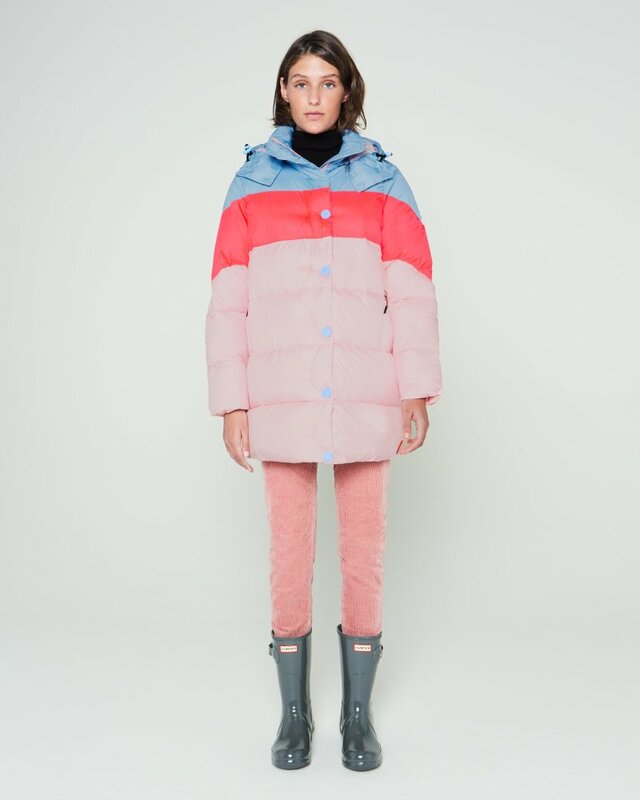 This Original Puffer Coat is a new cool and cosy style. In an oversized fit and crafted in a range of fun colourways, this stylish, water-resistant jacket is both insulating and lightweight. Thermolite synthetic down will keep you warm in colder temperatures, while a detachable hood will keep you dry during unexpected downpours. Rated 4 out of 5 by Andreea Stan from Perfect jacket, good for cold and rainy weather. Very pleased with the product, a small defect on the inside pocket made me not give the maximum. However, the customer service was very helpful and nice, they gave me a discount for future purchases. Rated 4 out of 5 by Anonymous from Lovely coat Really love this coat and even better that I managed to get it in the sale. Lost one star as like other reviews the zip is temperamental. Definitely down size if you don’t want it hugely oversized. For reference I’m a size 16 and bought a medium which still looks just nicely oversized. Also super warm even though it’s thin, worn for my sons football which is on a hill and ridiculously windy and therefore icy cold. Rated 4 out of 5 by AnnLuk from A Charm Coat The colour and the frabic is good. The cloths looks exactly the same as the picture showed. I love the cut, but the coat is good for wet and chill weather only. If the weather is too cold, you will need a down jacket underneath! Fit is true to size, I am 165cm weight 125 lbs and i wear small size. Rated 5 out of 5 by Laura from This is the best coat I’ve ever owned!! This is the best coat I’ve ever owned, it’s so warm and bang on trend. I’m totally in love. Rated 4 out of 5 by Anonymous from Not as warm as expected Overall a nice coat. Bought it in multicolored, not purple as shown. It's not as warm, as I expected. But the colors are bright and the same as shown. Lost a button, but it can't be replaced. Rated 3 out of 5 by Karen from Looks great. Warmest coat ever. But tricky zipper. Love the colour and this coat is definitely made to keep you warm without being heavy and cumbersome. However the zipper has a major flaw. It takes a while to pull up as it keeps getting caught in the material of the coat. Only pulls up a couple of inches at a time then it sticks and needs freeing from the fabric. I haven’t worn the coat outdoors yet as I’m still deciding wether or not to return it as I don’t know if it’s worth the zipper admin every time. It’s a lot of money for a coat with a faulty zipper mechanism. Shame as I love everything else about it.